GeneralDisorder had the most liked content! Performance / repair technician. Shop owner. 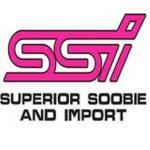 Superior Soobie and Import (SSI) LLC. Owner. Yeah I saw that. Change the axles. 10 mm Oil Pump 15010AA300 into a 1995 (Impreza) EJ18?